According to the National Archives, 12,618 UFO sightings were reported to Project Blue Book while it was headquartered at Wright-Patterson Air Force Base in Dayton, Ohio. Of these sightings, 701 remain "unidentified." Project Blue Book's files were declassified after the project was closed in 1969. All of these files relating to UFO sightings have been available to view on microfilm within the National Archives for years, though never before released in digital format. 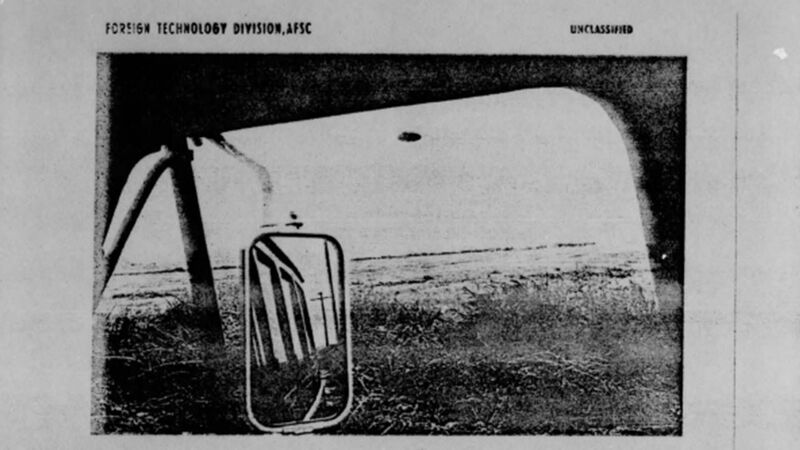 According to a 1985 fact sheet from Wright-Patterson posted online by the National Archives, the Air Force decided to discontinue UFO investigations after concluding that "no UFO reported, investigated and evaluated by the Air Force has ever given any indication of threat to our national security (and) there has been no evidence indicating that sightings categorized as 'unidentified' are extraterrestrial vehicles." In none of Project Blue Book's reports are any documentation regarding the infamous Roswell UFO incident, purported to have occurred near Roswell, New Mexico in mid-1947. There are, however, some separate reports and photos included in the collection, taken near Roswell between 1949 and 1950.